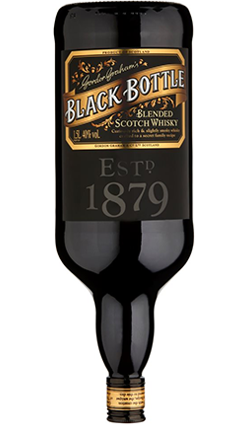 A special limited release bottling from Bunnahabhain. 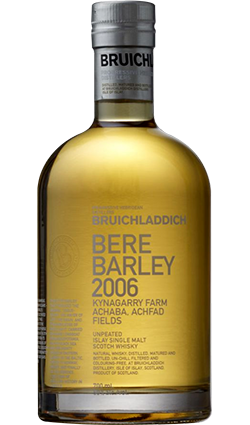 There are just 3,792 bottles of this cask strength Manzanilla finished Bunnahabhain.For the 2009 Feis IIe. 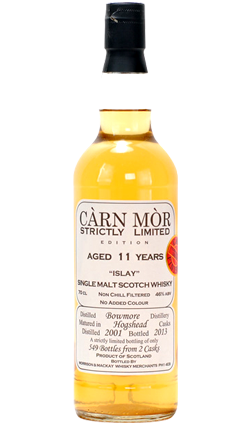 A fantastic Islay Whisky by a underrated Distillery. 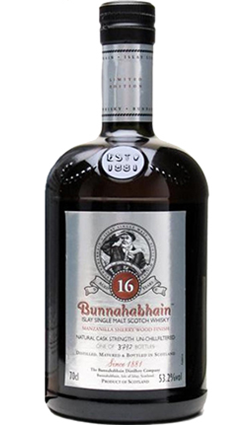 A distillery-bottled cask-strength Bunnahabhain 16 Year Old, aged 12 years in traditional casks before a second four-year maturation in Manzanilla sherry casks. 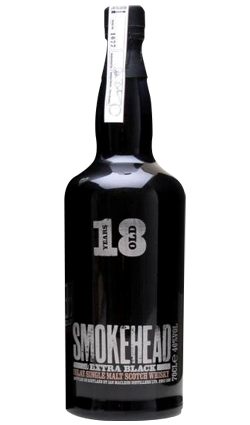 Nose: Fruity, sherried. Cedar, cigar boxes, leathery, hints of spicy smoke, coastal, rich. Palate: Good body, balanced. Cocoa, lifts of spice, sherry, walnut, aniseed, fruit, mint. Finish: Hints of spices, cocoa, leather, sultana, coastal, salty.